For the first time in history, five federally recognized Tribes banded together to advocate for a national monument to protect, for all Americans and for all time, a place so wondrous it had drawn people to it for more than 13,000 years. Rich in ancient and modern Native culture, and part of the homeland and history of the five Tribes, the area is known as Bears Ears National Monument. To the Tribes, it is a living and vital place where ancestors passed from one world to the next, often leaving their mark in petroglyphs or painted handprints, and where modern day tribal members can still visit them. 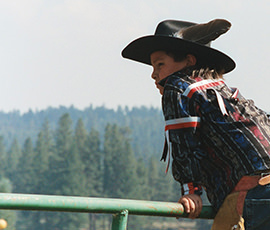 The Tribes worked for years to gather evidence and make a case for the protection of this landscape teeming with historical objects and sites. Recognizing that Bears Ears was exactly the kind of place for which the Antiquities Act was created, President Obama designated the monument on December 28, 2016. Less than a year later, in an effort to free up lands for uranium mining and other extractive industries, President Trump purported to revoke the Monument. In so doing, he acted well beyond the law and well beyond the Constitutional limits of his power. The Antiquities Act – a law created specifically to protect historical objects and places – was used instead to remove protection from irreplaceable historical objects and places. Read more about NARF’s work to protect Bears Ears National Monument. NARF continues to fight for the Native nations who have spent years working to protect their sacred, ancestral lands and the millions of people who declared their support for our national monuments. We will not allow the rights of our Native nations and our local people to be willfully pushed to the side for the benefit of corporate interests. We will stand firm for justice. 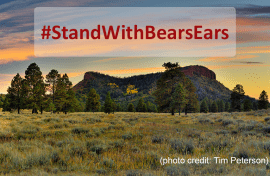 Donate now to help protect Bears Ears National Monument.